"George made us what we were in the studio…He helped us develop a language to talk to [other] musicians." "Without George Martin the world would have been a different place." 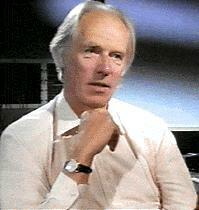 If anyone deserves to be dubbed the fifth Beatle, it's George Martin. Not only did he do most of the orchestral arrangements on the Beatles' records, he also wrote the orchestral score for A Hard Days Night and Yellow Submarine, and used his musical expertise and technological savvy to guide the Beatles raw talent into the music giants they would become. And if that isn’t enough, he is probably the most reliable and unbiased source of information on the Beatles today, and that is including the remaining ex-Beatles Paul and Ringo. 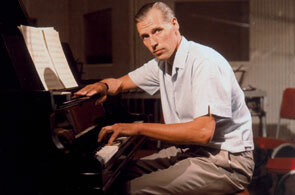 George Martin was in his early 30s and already an accomplished producer and musician by the time he met the Beatles. He had at least two instruments under his belt—the piano and oboe—and had studied composition, conducting, orchestration and music theory at the Guidhall School of Music. He joined Parlophone Records as a music assistant in 1950 and spent the next six years learning the ins and outs of the recording process, music industry and its ever evolving technological advances. When Martin's boss retired in 1955, he took over for him, becoming the youngest manager of an EMI label at the age of 29. Martin spent his first years recording classical and Baroque music. Since Parlophone was largely considered a "junk" label, Martin had an inordinate amount of freedom and started taking on projects that interested him. He produced comedy and novelty records, earning a moderate amount of success with comedians Peter Sellers, Spike Mulligan and Peter Ustinov, actor Dudley Moore, singer Judy Garland and other interesting acts. He was just starting to venture into rock and roll when he met Brian Epstein. By April 1962 Epstein had already been around to, and turned down by, all of the major record labels, including EMI. Martin wasn't initially impressed either; in fact, as he often points out, he thought their demo tape was pretty awful. But there was something about them that intrigued him—though he is never quite clear about what that something was—so he decided to request an in-person meeting. 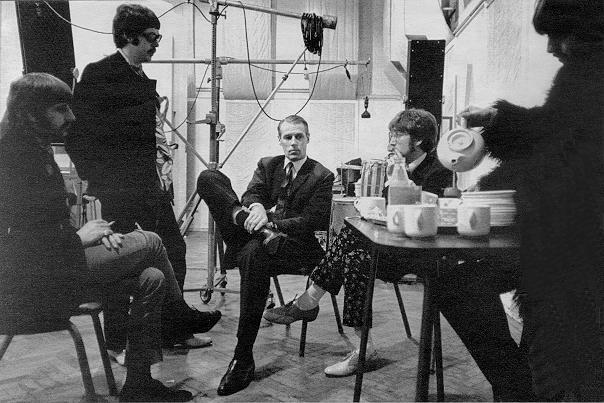 The infamous first meeting began with a well timed comment (George Martin asked the Beatles what they thought of Parlophone, to which Beatle George replied, “I hate your tie”), which broke the ice, and set the stage for their future collaborations. Martin later noted that though he really liked John, Paul and George, he didn’t necessarily think they showed any signs of being great songwriters. The Beatles auditioned with their drummer Pete Best in June and Martin agreed to sign them, provided they return sans Best. Though the Beatles had already been considering getting rid of him, they let Brian do the dirty work for them. Ringo, then a member of the relatively popular Liverpool band Rory Storm and The Hurricanes, had occasionally filled in for Best in the past. John, Paul and George had always gotten along well with Ringo and loved his drumming style so he was a natural choice for their suddenly vacant drummer's position. Ringo wasn't a natural choice for Martin though. Martin had already booked a professional drummer by the name of Andy White for the Beatles first recording in September, and he wasn’t necessarily inspired by Ringo’s initial performance, which was unique but unsteady. Andy ended up on the drums and Ringo was stuck playing the tambourine on the ‘Love Me Do’ single. Though Martin eventually relented, and Ringo did end up on the album version of 'Love Me Do', he was still pretty hurt, especially since he was already having a hard time with the ardent Pete Best fans. But it didn’t take long for the Beatles' fans to realize that Ringo was the better drummer, and Martin has since apologized to Ringo for his error in judgment. Some interesting and telling things took place during the first recording sessions. The Beatles let Martin help transform their Roy Orbison-style song ''Please Please Me'' into the rock and roll tune that we know today. But they wouldn't relent when Martin suggested they release the cover song ''How Do You Do It'' over ''Please Please Me'' as a single. The Beatles were insistent about recording their own music, and Martin respected that. Though it was unusual for a new band to release almost all original material, Martin didn’t want the Beatles to sound like something they weren't. His successful 50 year career as a producer can be attributed to his discerning ear; he was very good at determining when to make a suggestions and when to keep quiet. It’s hard to say what would have happened to the Beatles had Martin and Parlophone endured the same scrutiny EMI’s bigger and more successful labels experienced. His background, experience and experimental attitude were exactly what the Beatles needed. From their first recording session came 'Love Me Do' and their inaugural foray on to the British single chart at #17. Their second single, "Please Please Me" gave the Beatles their first #1 single on the British charts and proved that the new collaboration was a success. With Martin's more formal music training, musical skills and patience, the Beatles continued to evolve and improve as composers and songwriters. His role in the creation of their songs varied. He composed the harpsichord section used during the breaks in "In My life." He also added the string quartet accompaniment to "Yesterday," a song Paul claims came to him in a dream. Lithographs show that Paul originally attributed "Yesterday" to Paul McCartney, John Lennon, George Martin Esq. and Mozart. Martin's previous experience layering musical effects and creating backward tapes gave the Beatles music its depth, and encouraged them to experiment more. Martin's assistance was especially important in creating the mood and sound the Beatles wanted for Sergeant Pepper's Lonely Heart Club Band. Martin's finely tuned touched was especially apparent in two of John's best songs, "Strawberry Fields Forever" and "A Day in the Life." Martin combined the two versions John had created of Strawberry Fields into the version we know today. He is also responsible for the amazing orchestral windup in "A Day In The Life." Martin readily admits that releasing "Strawberry Fields Forever" and "Penny Lane" together as a single was one of the biggest mistakes of his career. Though to be fair, his decision was largely based on the pressure he was receiving from EMI—they just wanted him to get something out on the charts. The airplay was split between the two popular songs, so it only reached #2 on the charts, losing the #1 spot to, of all songs, Engelbert Humperdinck’s "Release Me." In addition to producing the Beatles records, Martin also oversaw the production of Gerry and the Pacemakers, Billy J. Kramer and the Dakotas, and Cilla Black records. In 1963, records produced by Martin spent 37 weeks at the #1 spot on the U.K. charts. Though he was obviously creating a lot of revenue for EMI, Martin continued to make only 3,000 pounds a year. Originally, Martin could balance out the small salary with the freedom EMI allowed him. By the mid 60s though, he had taken on far more work, transformed Parlophone into EMI's number one money making label, and was just generally fed up. So, he left EMI in 1965 with EMI producers Ron Richards and John Burgess, and former EMI producer Peter Sullivan, to form Associated Independent Recording. Martin's association with AIR wasn't widely known, however, because most of the bands Martin produced remained with him; interestingly enough, this meant EMI had to hire him back as an independent producer. As the Beatles grew more independent and successful, they also became more defiant. When the Beatles came back from India with over 20 songs, Martin would have preferred to make one really good album rather than two albums filled with both good and mediocre songs. By 1969 and the Let It Be movie/album, the Beatles weren't exactly getting along anymore. Though Martin did produce part of the album, in the end the infamous Phil Spector took over. Martin's amount of involvement is still disputed, however, and the reasons for this change are still unclear. Martin has said that the Beatles wanted to pursue a different direction, but the strained atmosphere could also have contributed to his absence. Martin was surprised when Paul called to ask if he would produce a new album for them. He agreed to return for Abbey Road but only if the band promised to behave. They must have kept their promise because Abby Road was recorded, and then they broke up. Abby Road came out before the dispute-ridden Let It Be album. Eager to disassociate themselves from the Beatles, John and George didn't want to work with Martin again. Ringo, the pacifist of the group, worked with Martin on at least one other occasion. Paul, always loyal to his roots, has worked with Martin many times since the break-up. In the 70s and 80s Martin produced albums for Mahavishnu Orchestra, America, Jeff Beck, Neil Sedaka, Jimmy Webb, Cheap Trick, Ultravox, Kenny Rogers, and Paul; and in the 90s he worked with Celine Dion and Kate Bush. Over the years, he worked on unissued tapes from the Beatles vault, and any other reissued material, including the Beatles Anthology. Today, Martin is widely recognized for his accomplished fifty year career as a producer. His influence even stretches all the way to the Queen, who chose to knight him in 1996, a full year before Paul received the honor. 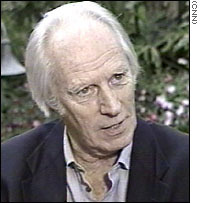 In 1999, both George Martin and Paul McCartney were inducted into the Rock 'n Roll Hall of Fame. As of today Martin has produced over 700 recordings, including the 1997 "Candle in the Wind" tribute to Princess Diana, and his album In My Life, which featured a bevy of surprising (i.e. Robin Williams and Jim Carrey) and not so surprising (Celine Dion and Phil Collins) performers singing Beatles songs. In 2001, EMI honored Martin's contribution to the music industry with the release of the 153-track CD Produced by George Martin: 50 Years in Recording. Martin announced his retirement several years ago, in lieu of his hearing loss and 70+ years of age. Nevertheless he remains active, having recently overseen the musical arrangements for the Queen's Jubilee Party and assisted in the preparations for a charity benefit that was held in memory of comedian Spike Milligan. You'll want to be on the lookout for a live Beatles show in Las Vegas in June of 2006; it features music Martin produced back in 2004. 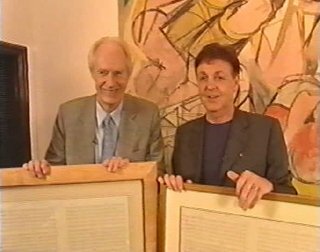 Sir Paul McCartney and Sir George Martin sign and discuss the 500 specially framed lithographs of the original 1965 score of the world's most loved song - Yesterday. George Martin and Paul McCartney have faithfully reproduced the score that they used for the Yesterday recordings complete with mistakes, coffee stains and certificate of authentication. The aim of the auction, organised by Yahoo!, is to raise much needed funds for The Sir George Martin Music Foundation to aid the island of Montserrat, devastated in June 1997 when the Soufriere Hills Volcano erupted killing 19 people. June 14 has been chosen for the launch as on this day, 36 years ago, the original recording was made of Yesterday at Abbey Road studios: the string quartet, for whom the score was written, was added three days later. 'Yesterday' is not only a beautiful song but it has a number of Firsts attached to it: it was the first time that any Beatle recorded without any of the other four members of the band; it was the first score written for a Beatles song and it was the first time anyone other than the four Beatles or their producer played on a record (in this case it was a string quartet); it is the most performed song in history and its appeal continues to be as strong as ever.